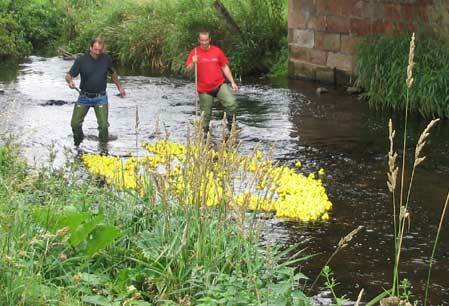 A Duck Race Race in aid of funds was held by the Rannes Hall Commitee on 15th August 2004. 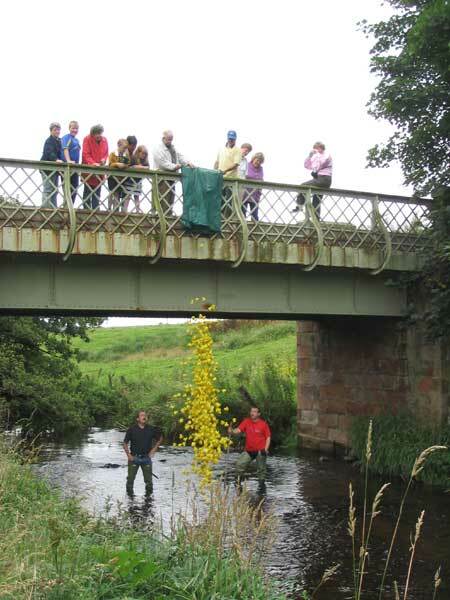 600 ducks were released into the River Bogie at the Smithston bridge. 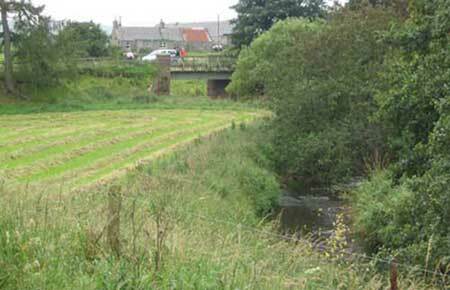 They wound their way down river along the half mile stretch to Haremyre farm where the winning duck, named Rupert by his sponsor, had taken a distinct lead over the rest of the field. It took him 19 minutes to complete his journey. The last duck arrived 40 minutes later. David Grant, Kevin Massie and Wullie Reid at the race start point. The ducks are launched into the Bogie while Wullie and Kevin look on below. 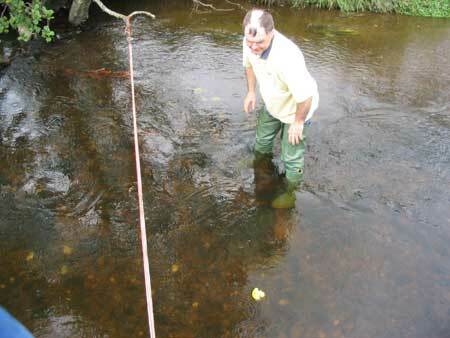 Kevin and Wullie follow the ducks down river and assist any who get stuck en route. 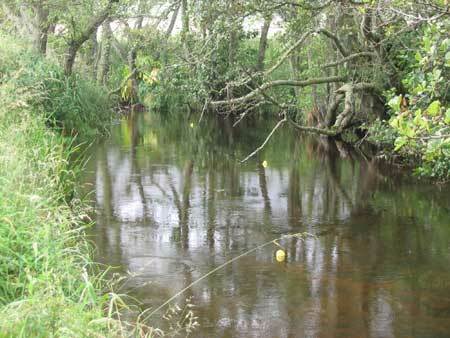 The ducks negotiate the first bend in the river. Ducks approach the finish line. Rupert crosses the finish line. Committee members Judith Mitchell and Ronnie Dawson check the winning duck, number 214, against the sponsor sheets. 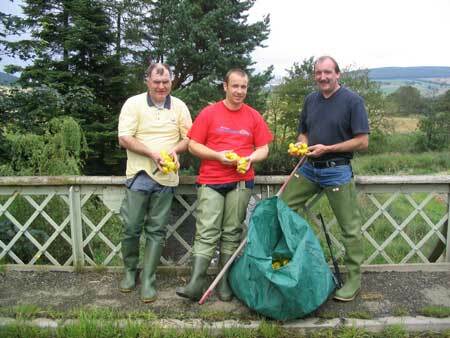 The winner of the £100 prize for sponsoring the winning duck, which he also named, was Arthur Scatterty, Station Road, Kennethmont.